Moneyspire is a new alternative to the popular Quicken personal finance software. It allows you to keep track of all your bank accounts, credit cards, loans, investments, and other financial accounts all in one place. 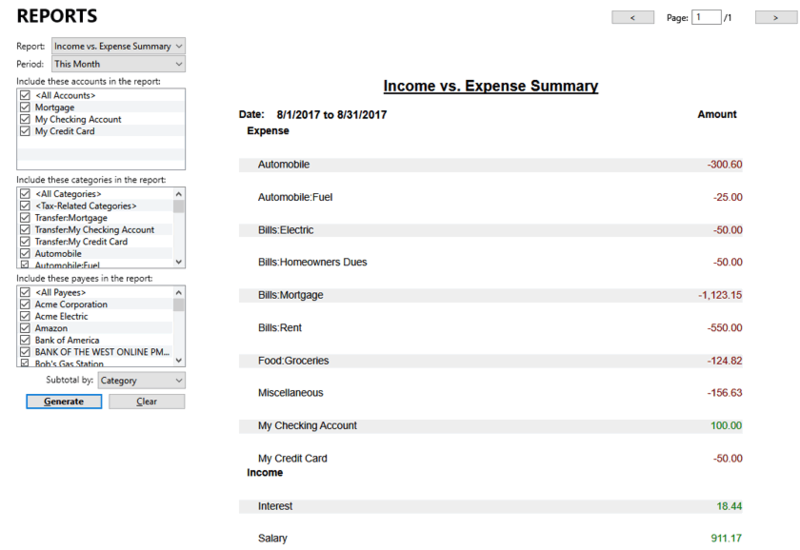 Like Quicken, Moneyspire gives you the tools to keep track of all your financial transactions, calculate your net worth, keep track of bills, and budget your money. You can create detailed reports showing where your money is going and to make filing your taxes easier. It also works the same for both Windows and Mac. Download a free 30-day trial of Moneyspire here. One of the best things about Moneyspire is that they respect your privacy. You are not forced to synchronize or store your financial data in “the cloud”, unlike some of the other personal financial software out there. You can keep all your information on your own computer and it never gets stored anywhere else, unless you want it to. Moneyspire does not collect and sell your personal information. You are never forced to give your name, address, and phone number to Moneyspire. Another great thing about Moneyspire is there is no subscription. Once you buy it, Moneyspire is yours to keep and use forever. You don’t have to keep buying it again every few years or pay for a yearly subscription. It will keep working, year after year, without losing any features. Moneyspire works in most countries and supports many currencies, unlike some of the other major personal finance software that only works in the U.S. There are people using Moneyspire in six continents and many countries, including the United State, United Kingdom, Canada, Mexico, Australia, Germany, Japan, and many more. Moneyspire will work with any bank. It allows you to download transactions in QIF, OFX, QFX, and CSV formats. Moneyspire also supports Direct Connect and Online Bill Pay. You can see a list of banks that support Direct Connect here. If your bank does not support direct connect, there are alternative methods for automatically downloading your transactions into Moneyspire. Manual – You can enter transactions manually, one at a time, into any account in Moneyspire. Manual Download – You can download a QFX, QIF, or CSV file from your bank’s website. Then open the file with Moneyspire and it will import all your transactions. This is a quick and easy way to get all your transactions into Moneyspire, with no extra fees or setup. This method works with almost every financial institution on the planet. Direct Connect – Over 1200 financial institutions support Direct Connect. This feature allows Moneyspire to connect directly with your financial institution and import transactions. It happens automatically, so you don’t have to go out to your bank’s website and download anything. Not all financial institutions support this method, but if yours does, this is a great way to keep your account synchronized with Moneyspire. (Note: Some banks and financial institutions charge a fee for Direct Connect. This fee has nothing to do with Moneyspire. Your financial institution decides whether to charge this fee.) To see a list of which banks and financial institutions support Direct Connect, click here. 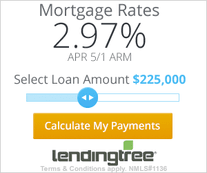 Moneyspire Connect – This method supports over 9,000 financial institutions and is like Quicken’s Express Web Connect. It allows you to download transactions from your financial institution automatically over a secure internet connection instead of having to manually download them yourself. Moneyspire Connect is perfect for people whose bank doesn’t support Direct Connect. This is a yearly subscription service for those who want to download transactions automatically from banks that don’t support Direct Connect. You can see a full list of supported institutions and learn more about the service here. Moneyspire Cloud is a free service that allows you to share data between several computers and mobile devices. Setup is quick and easy within the Moneyspire program. Once it’s set up, your data will be synchronized with the cloud, allowing you to keep all your data updated across multiple computers. You can even install Moneyspire on a Mac and a PC and your data will stay in sync. 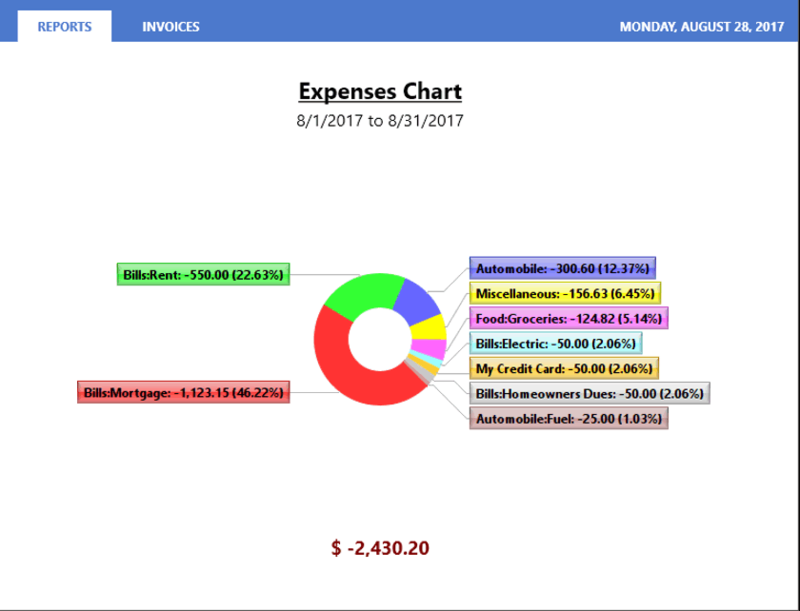 I found Moneyspire to be a solid, reliable program for tracking personal finances. 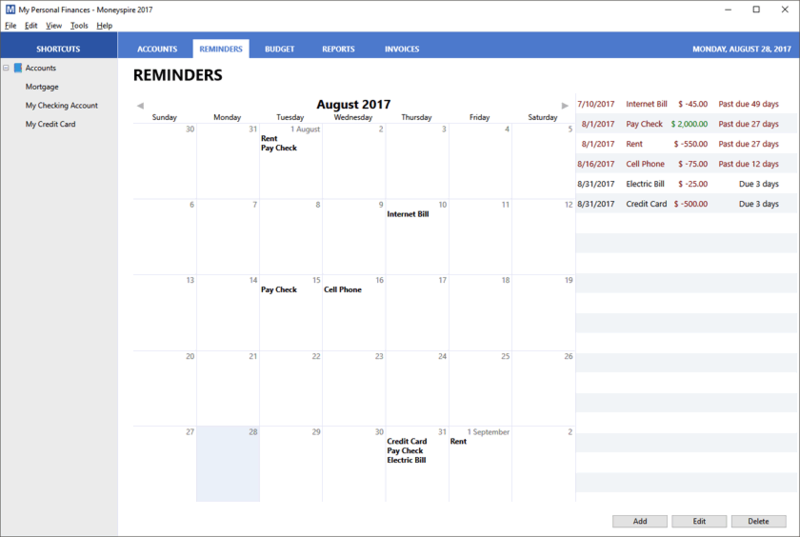 It is not quite as full-featured as Quicken Premier or Quicken Home & Business, but it is an excellent program for keeping track of bank, credit card, and loan accounts. Because of its simplicity, Moneyspire is easy to use and very fast. It imported transactions from my bank accounts without any problems. Moneyspire comes with plenty of built-in categories, but I was able to easily create new categories as needed. The reports are easy to generate and customize to exactly what you need to see. The budgeting tool is simple and easy to use, without an overly complicated display. It shows exacly what you have budgeted for each category and what you have spent so far. The only thing I didn’t like about Moneyspire is the accounts list on the left side of the program does not sort accounts by type. It is a big list in alphabetical order. I would prefer the Quicken way of sorting accounts by type, so the checking accounts are all together, credit card accounts are together, assets are together, and so on. This is a minor annoyance, but worth pointing out as a feature to add in the future. The ability to tag transactions and create reports using tags. This would be very helpful for tracking expenses for a business or another specific purpose. A report to show investment performance. For investment accounts, it currently shows the cash balance. It should show the balance including the value of current investments and cash. If you need to keep track of your bank and credit card transactions, Moneyspire is excellent. You can also use it to track loans and assets (such as a home, car, etc). It doesn’t have robust investment tracking tools like Quicken Premier, nor does it have a lot of business tools. But for everything else, Moneyspire does the job simply and elegantly. 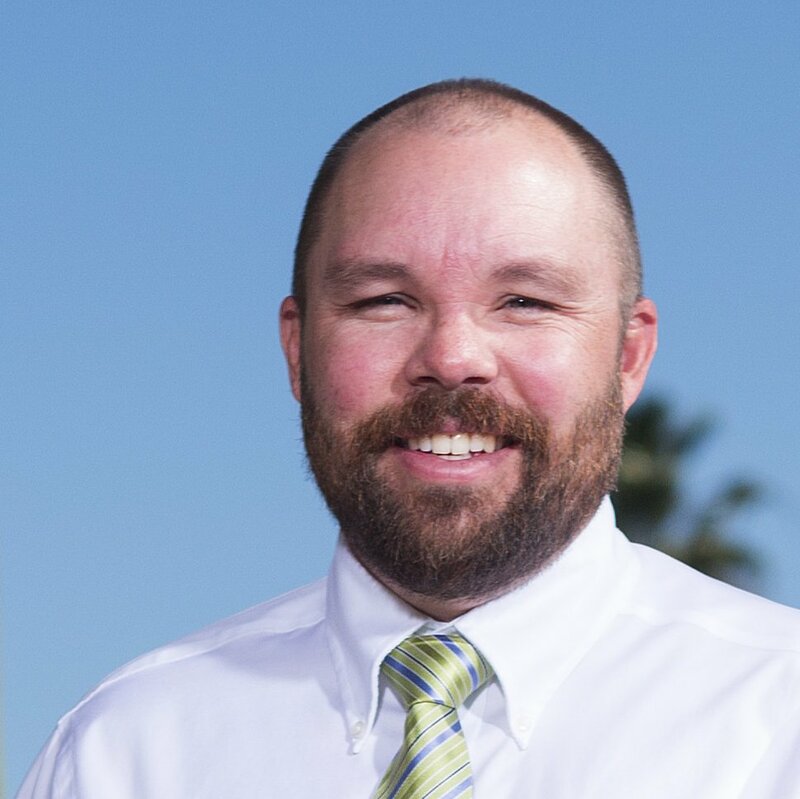 If you are looking for a good personal financial management program or are looking for an alternative to Quicken, I highly recommend giving Moneyspire a try. You can get a free 30-day full-featured trial of Moneyspire here (no credit card required). If you’re ready to purchase Moneyspire now, you can get it right here. I recommend the Basic Edition for most people. It includes everything most people need. Moneyspire comes with a 60-day money back guarantee, so even after you buy the software, you can still try it for another 60 days with no risk. 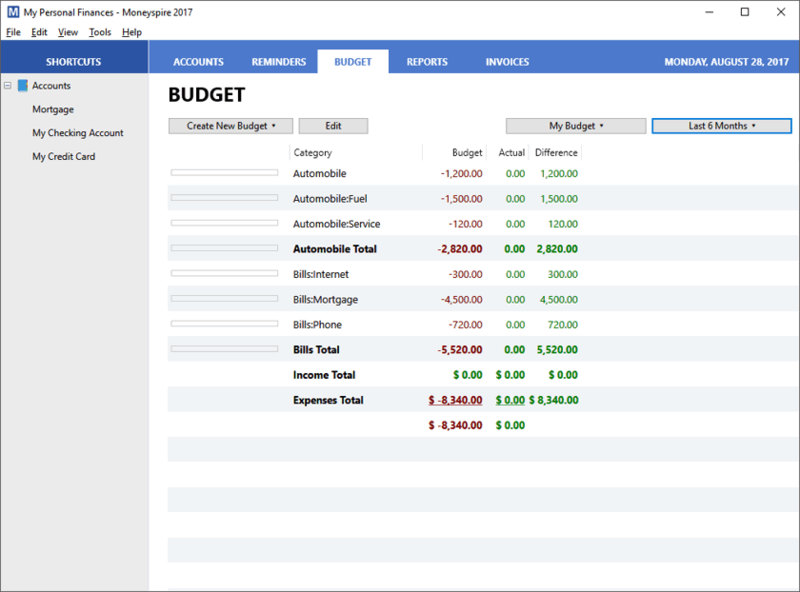 You stated that you can track investment accounts now in Moneyspire, including stock quotes and buy/sell transactions. Is that feature available in the “one time purchase option” or is it only available in the “subscription option”? The software is the same, whether you choose to go with the one-time purchase option or the subscription option. The only difference is in how long you continue to receive updates. I am currently running Q 2015 on my iMac. I either need to upgrade to the subscription based Q or go with Moneyspire. My only concern with MS is that with them not being as established as Q, will they still be around several years down the road. I know their software will continue to operate indefinitely without features expiring or being turned off but at some point, the software could become incompatible with a Mac iOS upgrade and no longer work. At that time I’d be forced to migrate back to Q but now having several years of data from MS and not knowing if it would import to Q. I realize that there are many assumptions in my question but having a software company disappear and having a Mac iOS update requiring newer software are very real scenarios. Moneyspire is a well established product and it allows you to export your data to QIF format. It’s all about what you want to use. Moneyspire can import QFX files as well. Do you track investments in MoneySpire? This shouldn’t be a big deal to track prices of stocks, ETFs and mutual funds for starters. You can track investment accounts now in Moneyspire, including stock quotes and buy/sell transactions. It just doesn’t have the full suite of investment reports, capital gains tracking, market comparisons, etc. One option you might consider if you want better investment tracking tools is to try out Personal Capital, which is completely free. Can I attach a PDF of a recipe and invoice within a transaction in Moneyspire? 1) Can Moneyspire create Tax Form Reports and/or tax schedule reports for income tax preparation? 2) If a QIF file is imported from my bank, will Moneyspire recognize entries that already exist in the ledger, or will the entries duplicate? No, Moneyspire does not track taxable expenses or provide tax schedule reports. If you import a QIF file from your bank, Moneyspire should recognize transactions that have already been imported and not duplicate them. However, some banks improperly format their QIF files, which prevents Moneyspire (and Quicken) from recognizing duplicates. As long as the file from the bank is properly formatted, Moneyspire will not duplicate existing transactions. I’ll also note that if your bank offers a choice, use the QFX format for your downloads instead of QIF. Moneyspire supports both formats, but the QFX format is a newer standard and works better for both Quicken and Moneyspire. Great feature of Q is BillPay. Can Moneyspire match it? Moneyspire does Bill Pay using the Direct Connect feature with your bank. As long as your bank supports Direct Connect and allows the use of Bill Pay through software, Moneyspire can do it.